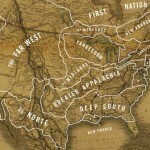 You are here: Home » How To Read Newspapers » The Next US Civil War? 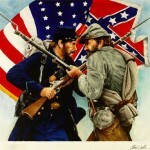 The Next US Civil War? A new Civil War in the US? Am I nuts? Surely, just by mentioning it I seem – dare I say – Inflamed! Sure, the no-vote on the gun bill got me thinking about how divided we are as a nation. We don’t seem able to govern ourselves. We are beholden to special interests. The media caters to ratings and sponsor dollars rather than reality or fact-based knowledge. There’s an adjoining reality, though. We the People have more tools for communication and persuasion than ever before. And we are not holding back. We want to be heard. And we want what we think is right. But this is democracy in chaos. So how can more of us folks control our own destinies; control our nation? It’s easy. Start your own nation. We might want to break up the United States into separate nations. It’s not so outlandish. Listen to reactions about the major issues like guns, immigration, and health care. 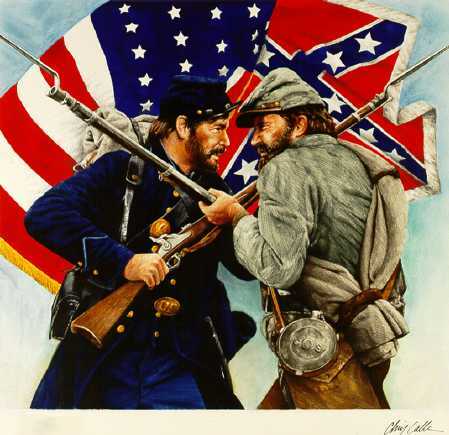 Rest assured, I am not talking about a real Civil War with armed insurrection. Although, I’m afraid there is a minority in favor of that. But I could see secessions. In some respects, I am foreseeing a hybrid state’s rights approach to government. But I think it might be more like a transfer of power to the states who then band together with regional governments. Some of you think I’ve been watching too much futuristic stuff on TV. Maybe so, but there are also some thinkers who are looking into the future and our future needs. Are they calling for a new US Civil War? No, I am cobbling together some disparate theories and combining it with my experience and observations. As I wrote here in a previous post, our political structure may need some reworking. We could possibly: 1.) ban the Senate filibuster; and 2.) get rid of the Electoral College. This theory comes from Moises Naim and his book, The End of Power. But folks in the so-called Red States won’t go for that. But they will certainly feel more comfortable with neighbors in neighboring states. Alright then, take a look at the theory from Colin Woodward. 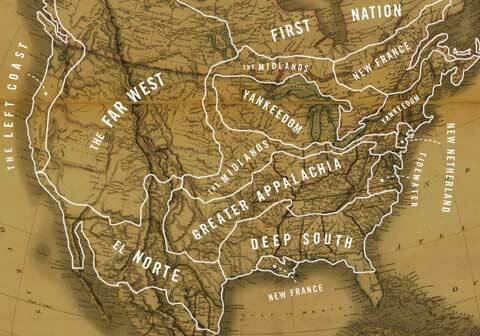 His book American Nations shows how the United States is really made up of 11 different nations. Here’s the map of those nations. His research is fascinating. You realize those regions and the people who are from there – an even those who move there – take on specific cultural ways that are different from other regions — or countries within our county. This hit me on an intellectual and experiential level. I was born and raised in the Northeast. I have worked and lived in the Northeast, The South, the Mountain West (Las Vegas), and in Southern California. I really felt and lived what he was talking about. In fact, I have mentioned on numerous occasions how my liberal northeastern beliefs were tempered by living in Las Vegas which I described as the New Wild West Libertarianism. Technically, we are already there – at least in our regional thinking. Then take a theory from author and military adviser John Alexander, PhD. John theorizes that the nation-state, as we know it today, might be obsolete in a few decades. John and I have few lunches together when he laid out this theory for me. You can read about it in article he co-wrote here. In short, John argues that terrorism is not conducted by nation states; it’s done by groups with – my terms here — niche agendas, goals, or hatreds. In addition, as our communications technology advances, John portends, we Americans will form communities based on our interests, not necessarily our geography. Tom Friedman, in The World is Flat, hypothesized that both US parties would split along ideological themes. His take: The liberal coastal Democrats would join the business Republicans while the Christian/closed border Republicans would join the union-backers of the Democratic Party to keep work here for Americans. Although we haven’t see exactly that yet, there are signs where Democrats and Republicans have similar goals. For instance, the evangelical Christians have a lot more in common with environmentalists than they do with the pro-business GOP. Another theory comes from David Stockman’s new book, The New Deformation. He argues that our boom and bust economy, plagued by crony capitalism, has actually led to the many wars we’ve either created or were a part of. He claims, and it is hard to refute, that the military lobby forced weapons systems on the US at a time when we needed expenditures to fight guerilla and terror wars. Now we’re paying for something for a long time that we don’t need. Granted, there are many obstacles. How would Social Security and Medicare be paid out? What about the Interstate road system? Will these regional states have to form their own militaries or increase their police presence to off-set the loss of the FBI and other national security agencies? Or do we keep the national agencies in place and these nation states act more like Scotland, Wales, and Northern Ireland in the UK? Overall, and on the brighter side, I believe our technology will make politics and business more democratic. Many more of us will have a say in government. Many more of us will be able to create companies or our own jobs and want more control over our lives. And, more importantly, our technology might allow for the resources and food we need to live to be within our region. And, maybe we’re not as divided as it seems. OK, your turn; have at it. Oh, by the way, this was meant to inspire thought, not anger.